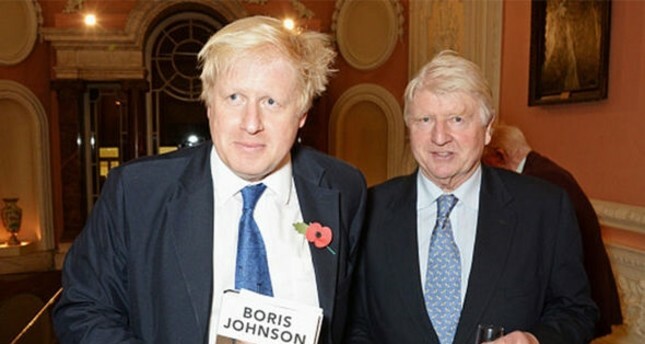 Former British Foreign Secretary Boris Johnson's father, a former Conservative member of European Parliament, Stanley Johnson, defended his son's controversial burqa remarks and said he should have called for a similar ban in the United Kingdom. "Yes, Boris used some colorful language. That's called 'freedom of speech,' or it was in my day," Johnson senior wrote on the Sunday Telegraph and said he would have expected his son to go even further. "As a matter of fact, I would have liked him to have gone a bit further. Surely, there are circumstances where a ban or appropriate restrictions would be in order," he said. Johnson added that British people should be "grateful" to Boris Johnson for "bringing the issue on the table." Johnson created uproar after saying women who wear burqas look like "letterboxes" and "bank robbers." Muslim groups and U.K. politicians, including Prime Minister Theresa May, urged Johnson to apologize. Johnson's representatives have said he won't apologize. Republican strategist Steve Bannon weighed into British politics Sunday in a wide-ranging interview in which he defended Johnson's comments about Muslim face veils and praised a controversial British far-right leader. However, Johnson's father was not the only figure to come to his defense. The former aide to U.S. President Donald Trump who helped craft travel ban to the U.S. from citizens of seven majority-Muslim countries said Johnson had "nothing to apologize for" and should not "bow at the altar of political correctness."